After wearing only matte liquid lipcolors, the return to traditional, creamy bullet lipstick feels kinda good actually. And the new ColourPop Lux Lipsticks are making that transition a very smooth process! 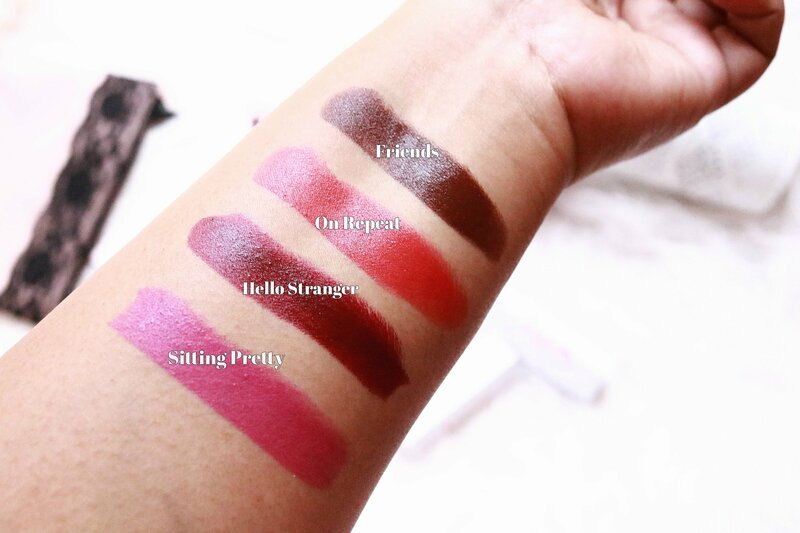 This range is new from ColourPop Cosmetics and the lipsticks are described as a “creamy-matte” that “glides on like butter, doesn’t feather or bleed, and lasts so long you’ll forget you’re even wearing it.” There are 24 shades in this range and I have four of them – Friends, Hello Stranger, Sitting Pretty and On Repeat. 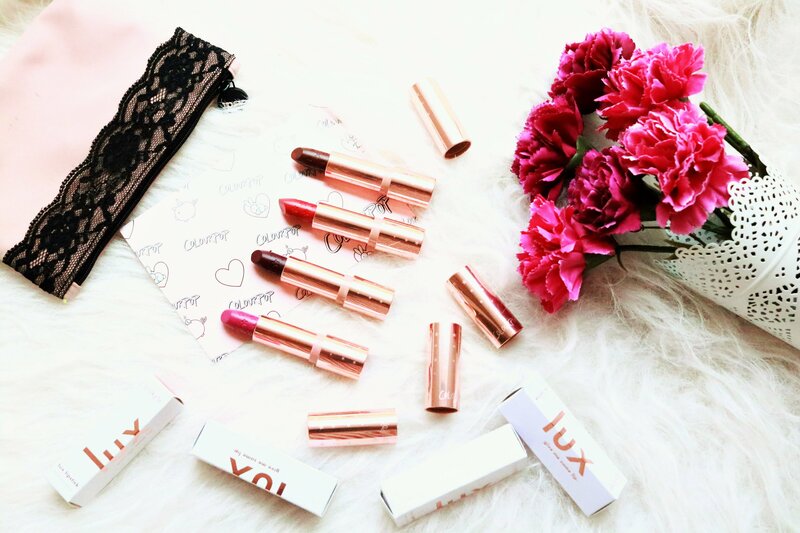 The ColourPop Lux Lipsticks look really pretty and very chic with their rose gold packaging and stars embossed on the actual lipstick bullet. They look much more high-end and definitely not like a $7 product but mind you, these lipsticks are actually quite heavy as in, heavier than normal lipstick bullets. In terms of formula, ColourPop nailed it. They are very well pigmented. One swipe and you get full color payoff. They glide on the lips like butter and all the shades I have go on very well without being patchy. Athough ColourPop describes these lipsticks as ‘Creamy Matte’, they feel more like a satin formula to me. And unlike liquid lipsticks, these do not last for too long and they do transfer. But then, that’s the same with all normal, creamy lipsticks. Like I wrote earlier, after using only liquid matte lipsticks and mostly the ColourPop Ultra Matte ones, these Lux lipsticks feel like a refreshing change. The only issue is that you have to keep on reapplying after 3-4 hours but the lips look all plumpy, creamy and they feel hydrated. For the price of $7, I won’t mind that. 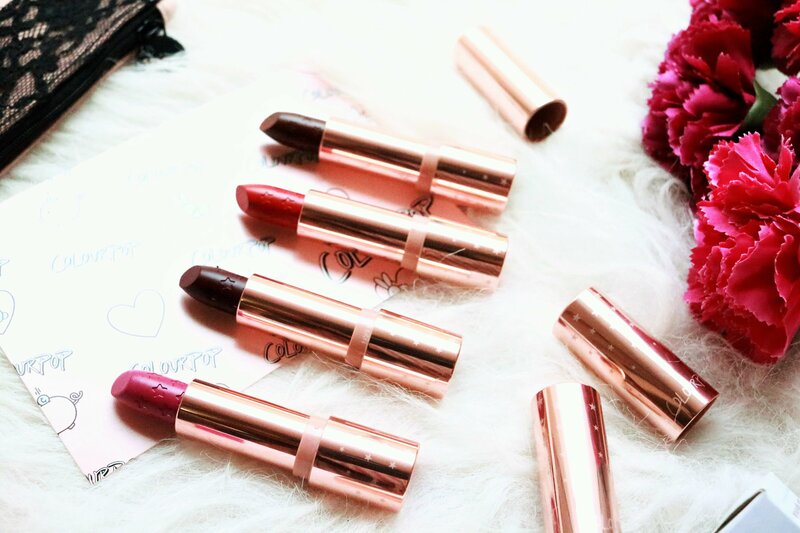 Have you tried the new ColourPop Lux Lipsticks? Which is your favourite shade? Do share in the comments below. The liquid lipstick craze is getting stronger by the day with brands coming up with new launches, new formulas and new packaging practically every month. 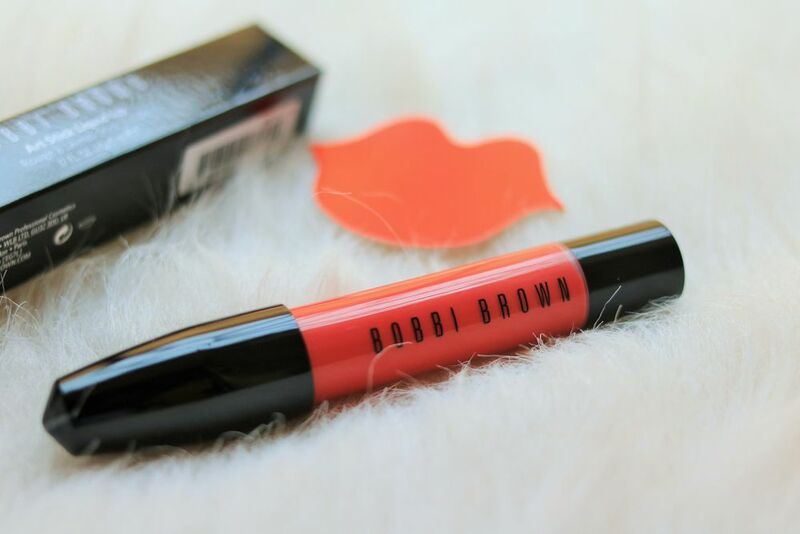 By now you must have known what a big fan I am of matte liquid lipsticks hence when the Bobbi Brown Art Stick Liquid Lip range launched, I was obviously intrigued. Interesting packaging, beautiful colors and the name Bobbi Brown. What set me back was the price. In India, these are available for Rs 2600 ($28.00) and even for a die-hard liquid lipstick fan, a bit too much. I was going back and forth over whether I should buy one or not when my friend M turned into a lipstick fairy and gave me the shade Papaya as a gift. Read on to know what I think of this new launch. If you see my pictures, you will notice that I have naturally wavy hair and that I almost always leave it open. There was a time when I was obsessed with getting poker straight tresses and had also gone for chemical straightening. That was seven years back and a big mistake. The chemicals ruined my hair and made it very dry and it took nearly a year to nourish it back to life. After that disaster, I’ve always relied on flat irons and I’ve tried quite a few brands. 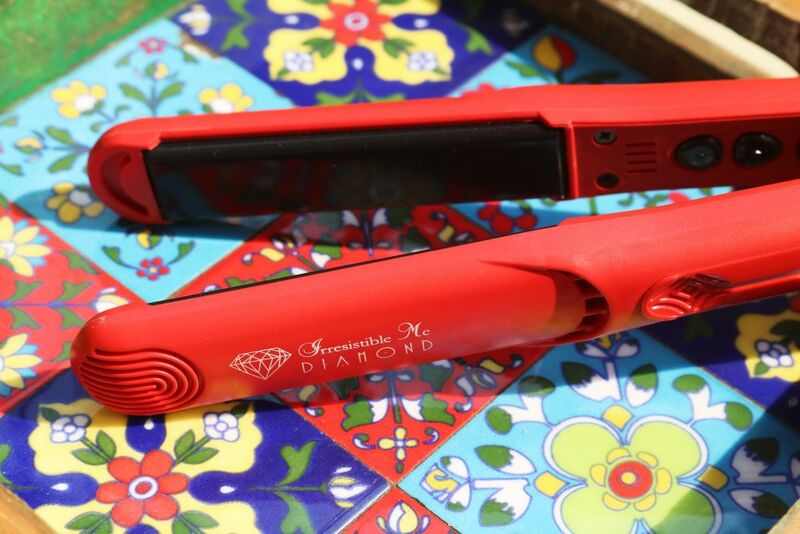 One that I’ve been loving recently is the Irresistible Me Diamond Professional Styling Iron. Irresistible Me is an international brand well-known for hair extensions, wigs, hair tools and accessories. They sent the Professional Styling Iron for review and I have been using it for some time. When I first saw the box, I was impressed by the sleek packaging. A black box with silver lettering and magnetic closing to store the product. The flat iron is a bright fire-truck red and looks attractive. The box also includes an instruction manual. Price – $149. Now available for $97. You can buy it here. Hi everyone! How was your Christmas celebrations? Hope you had a lot of fun with your friends and family. I sure did and I ate so much! Starting from breakfast with parents to lunch at a birthday party to an evening get together at another friend’s place, it was just food, food and more food! In fact, this whole week is going to be about that and I’m so looking forward to it :D. Anyway, let’s get to the point. This post is not about food. 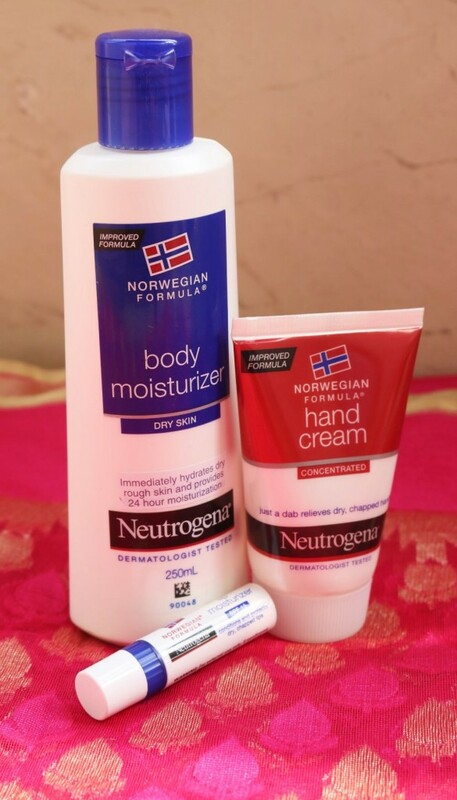 I am actually going to write about the Neutrogena Norwegian Formula Winter Care range that is now out with an improved formula. Neutrogena Norwegian Formula restores and retains moisture with a concentrated formula of up to 40% glycerine but provides lasting barrier repair and sustains healing of the dry skin within 24 hrs of use. The formula decreases the natural water and moisture loss and brings about a significant improvement in all skin attributes (Cracks, Dryness and Roughness). The Lakme Eyeconic Kajal, a big favorite of most of us who love kajal and wear it on a daily basis is now out in an all new avatar. 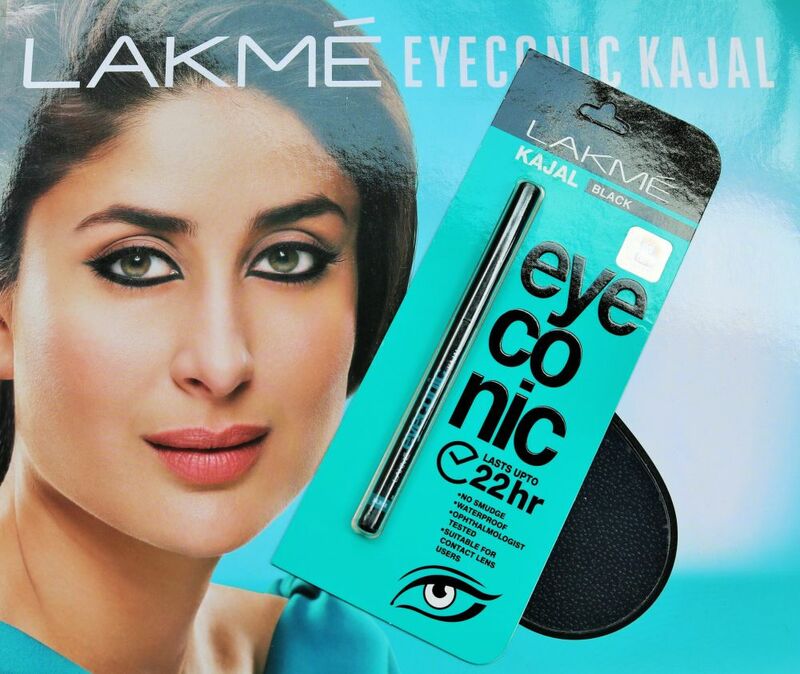 The new Lakme Eyeconic Kajal claims to last for 22 hours! How good is this new version? Read on to find out. A smudge-proof as well as waterproof kajal for everyday use, the new Lakme Eyeconic Kajal promises to last up to 22 hours. Say goodbye to touch-ups and a big hello to long lasting finesse to your eyes, all through the day!